Starring Martin Prest as Jonathan Harker is this haunting and atmospheric one man show adapted from Bram Stoker’s classic novel. Sunday 4 November, 7.30pm, in the Townley Hall, Fulbourn Centre, Home End. Doors open 7.00pm. Tickets: £10 / U16 £7 to include refreshments after the show and a chance to meet with the actor. 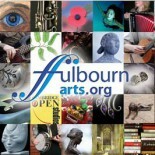 To book email fulbournarts@gmail.com or ring 01223 880616. All seats unreserved. Tickets are limited to ensure an intimate atmosphere. Run time is approx. 80 minutes. Recommended ages 12+. This is a Fulbourn Arts event.